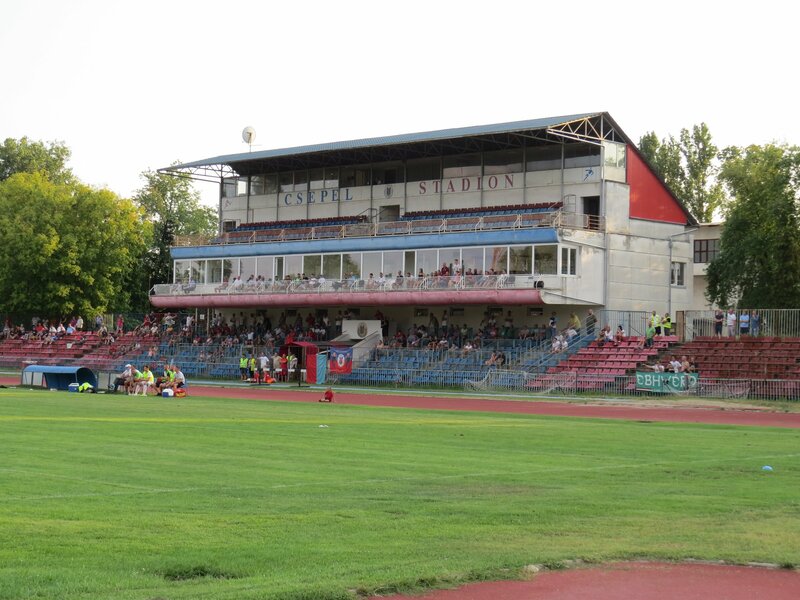 Today we only strolled around the Great Market Hall (Nagyvásárcsarnok) and had lunch there. 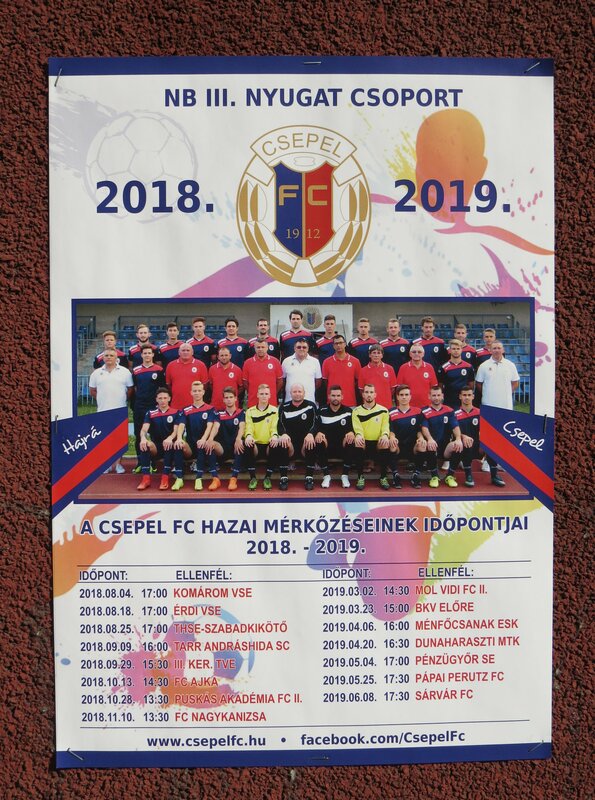 As it was very warm again we soon went back to our Hotel where we spent some time at the pool before the football day with two matches on the list started. 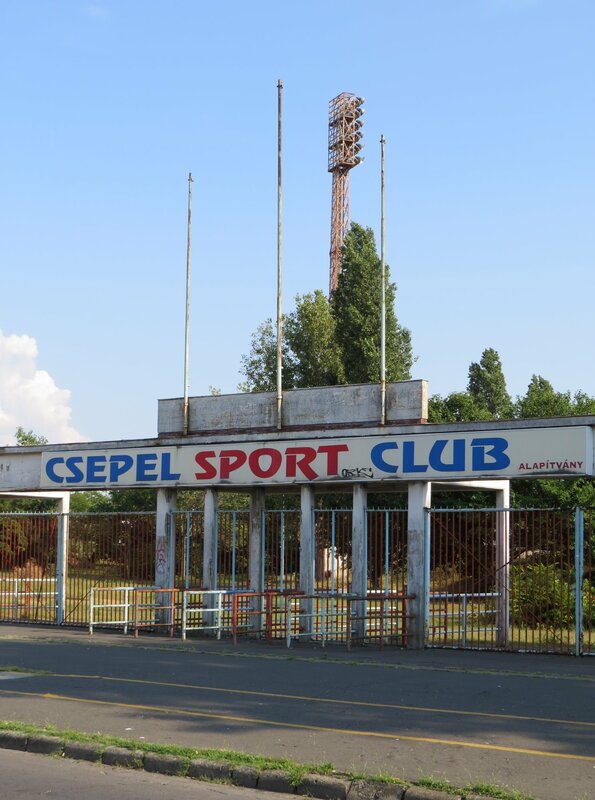 In the afternoon I went with the well organised public transport to Csepel the 21st district in the south of the capital. 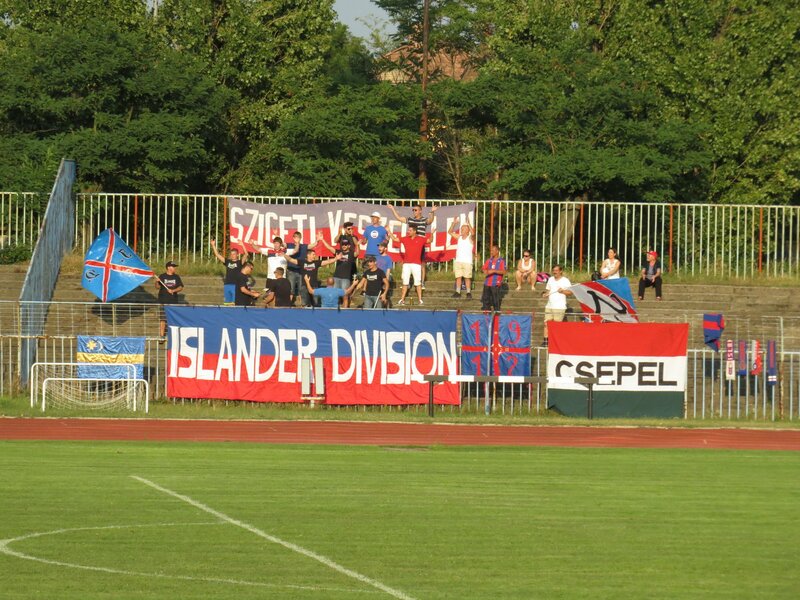 The only district that is neither on the Buda side nor on the Pest side of town. 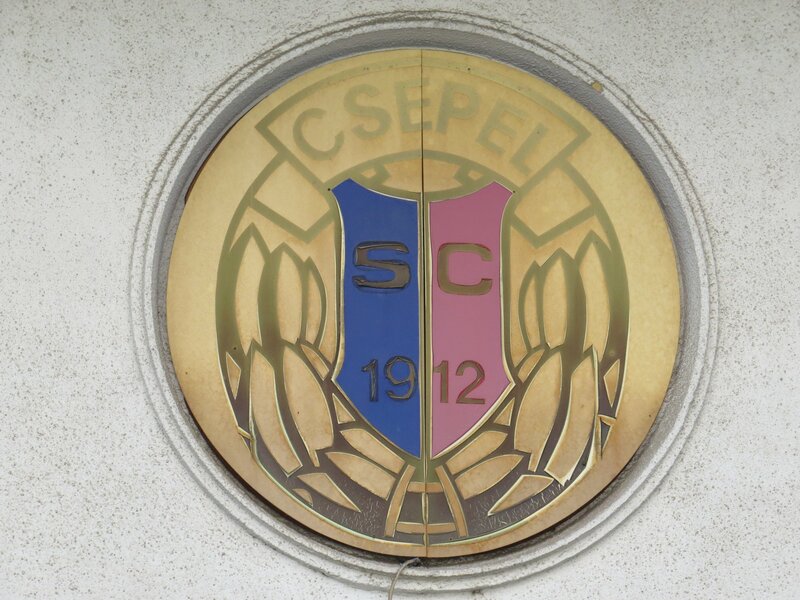 I took the bus to Boráros tér Bus station and than changed to the Csepel HÉV a kind of suburban train to the last stop Csepel station. 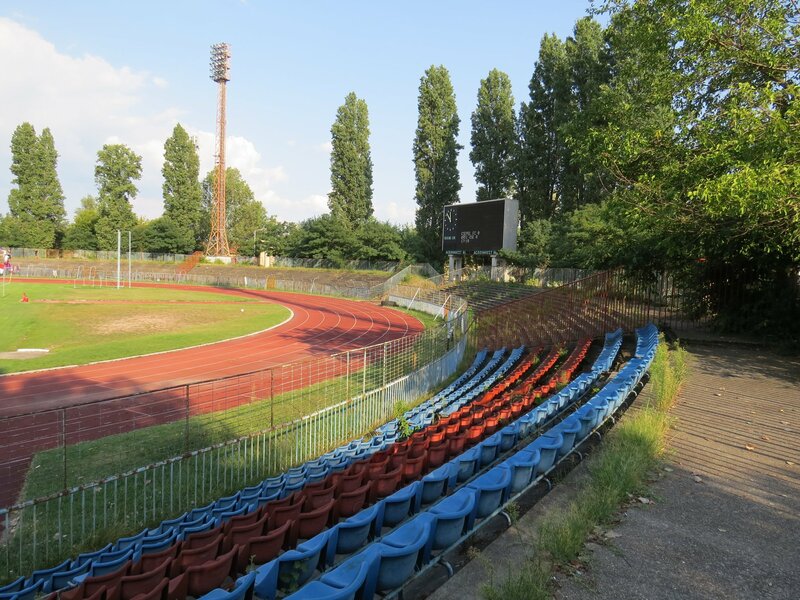 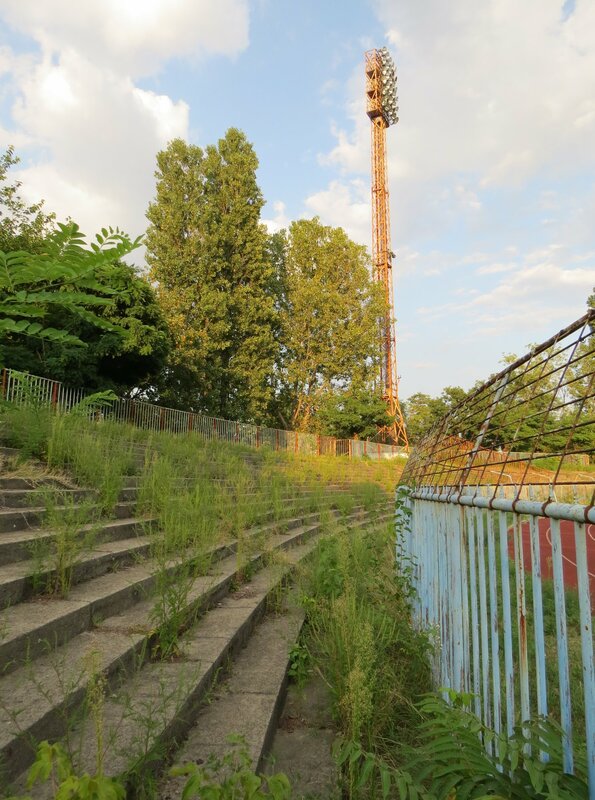 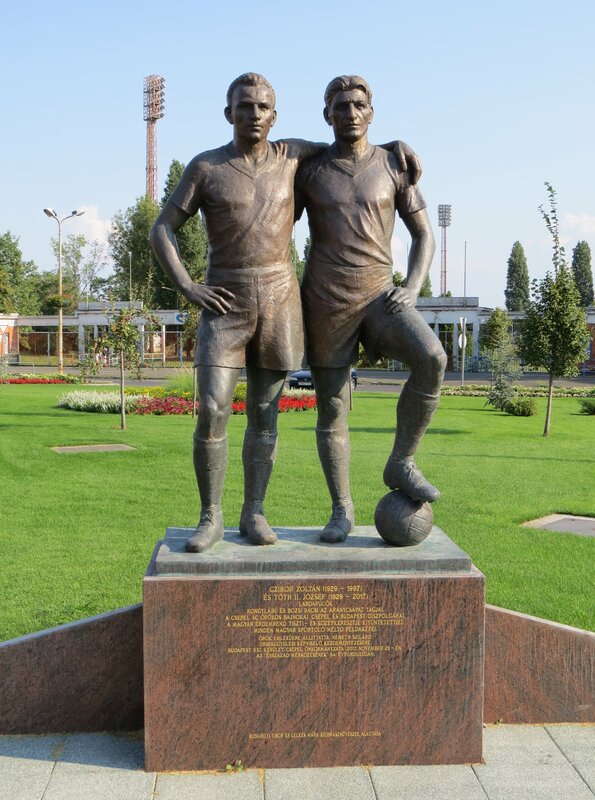 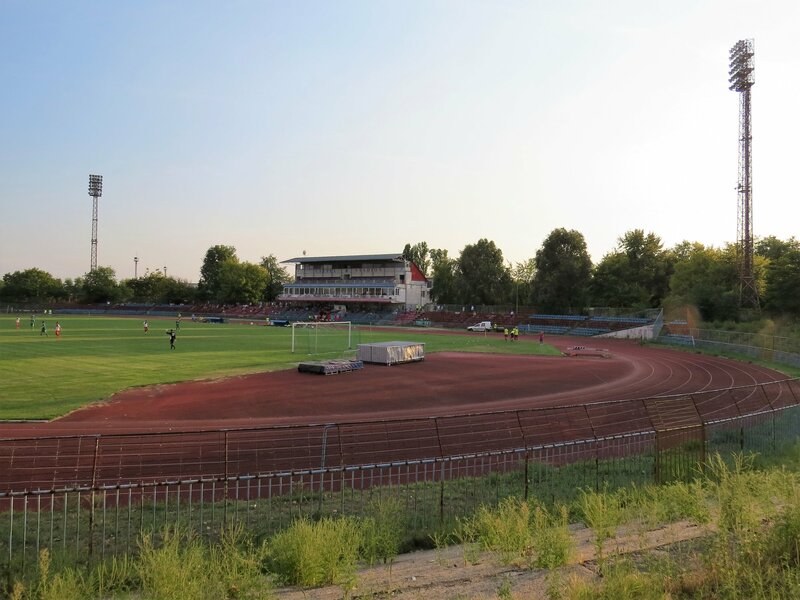 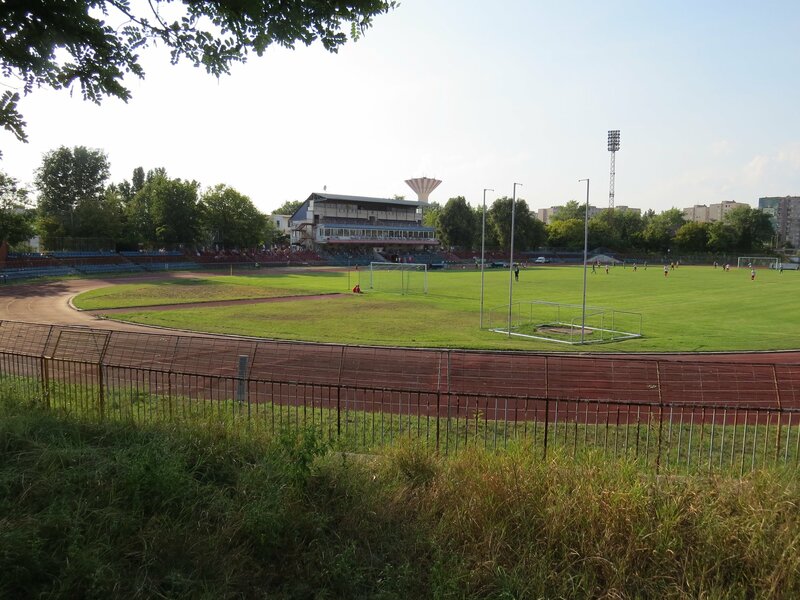 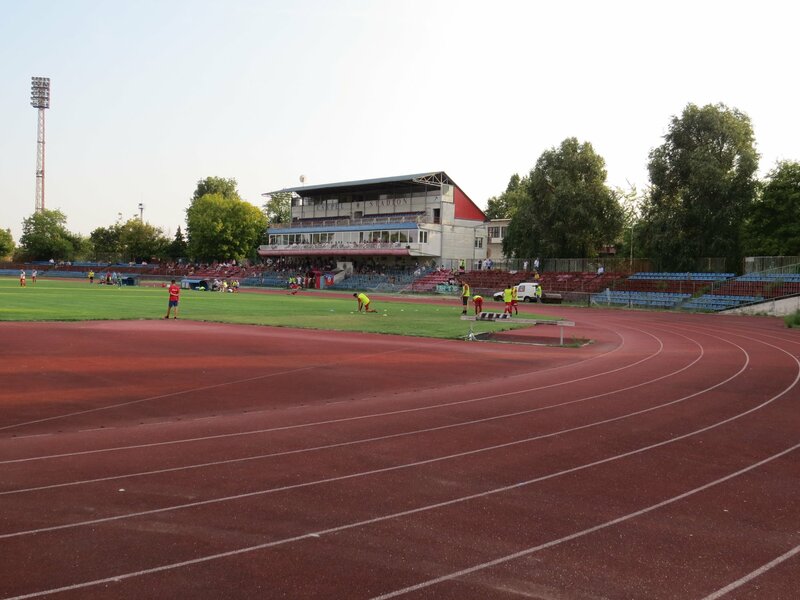 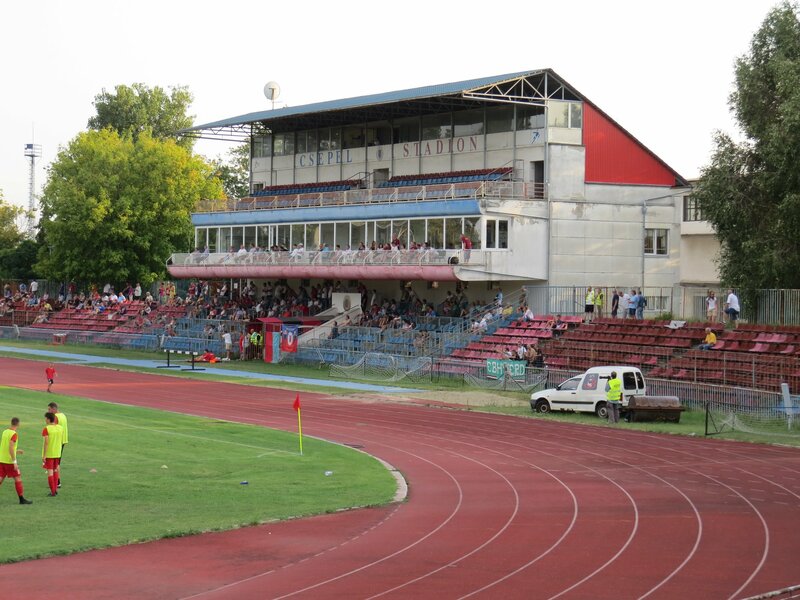 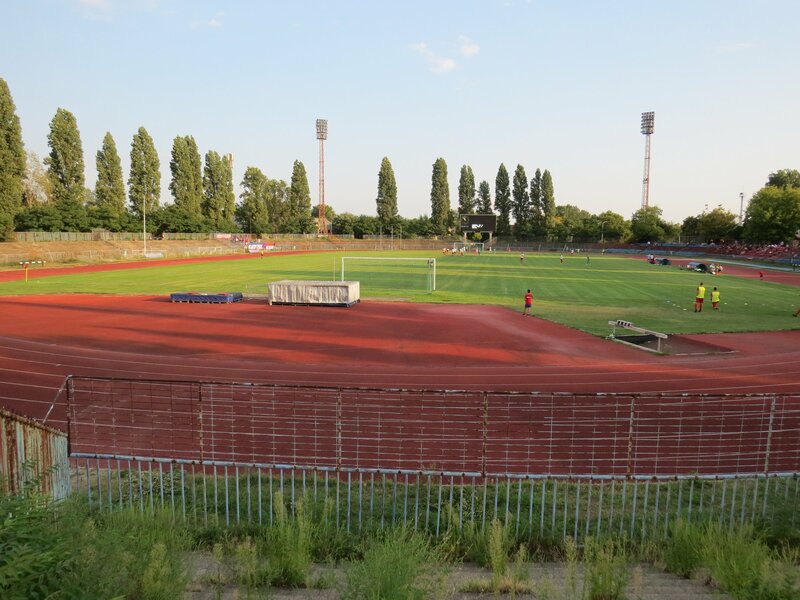 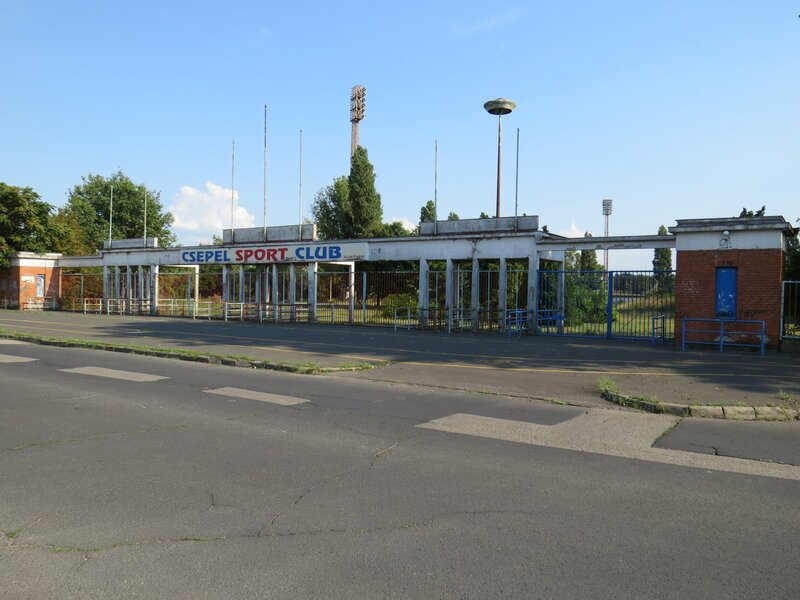 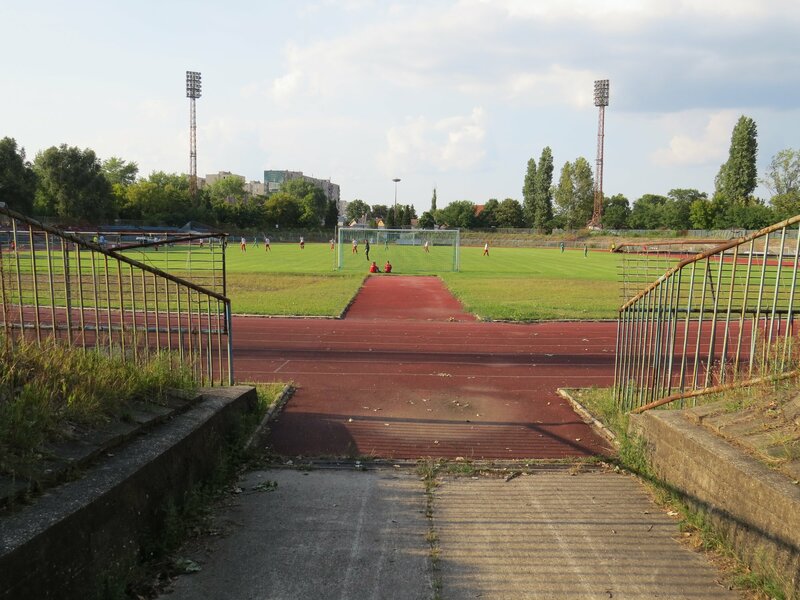 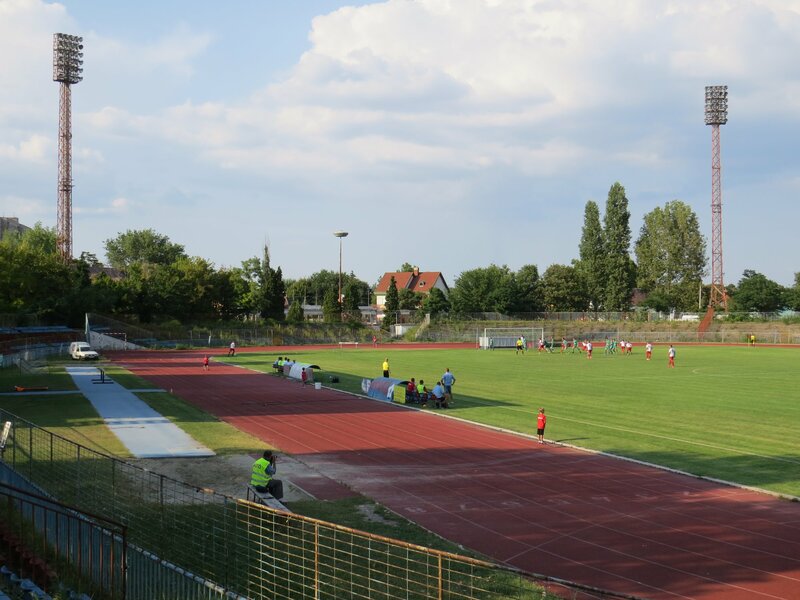 From there its only a short walk to the Béke téri Stadium. 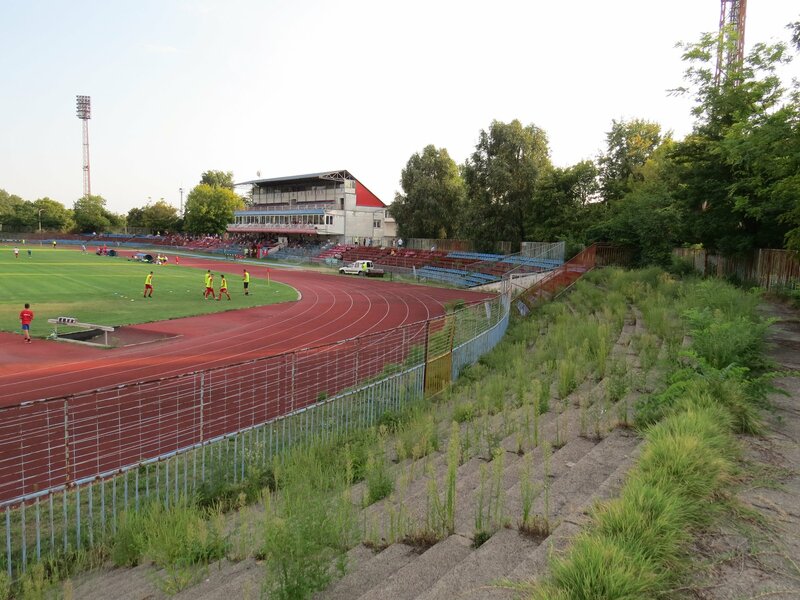 Another unusual but beautiful stadium. 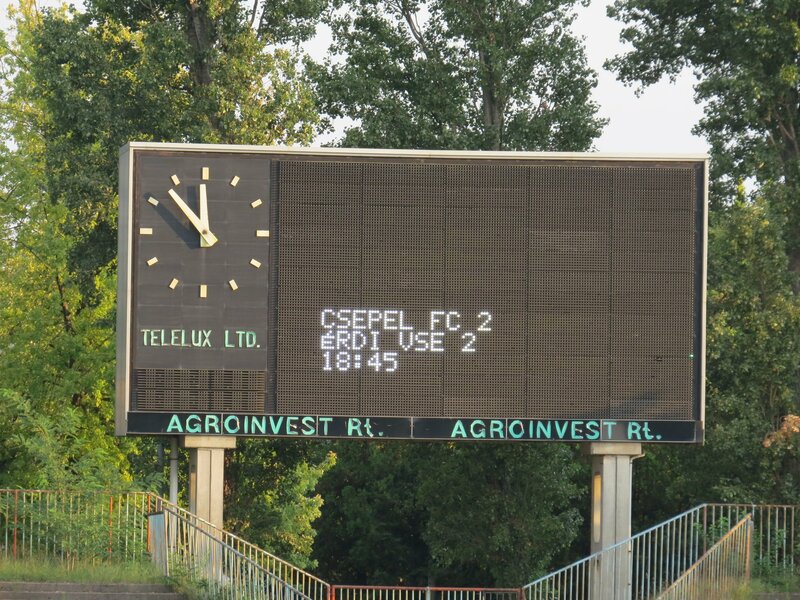 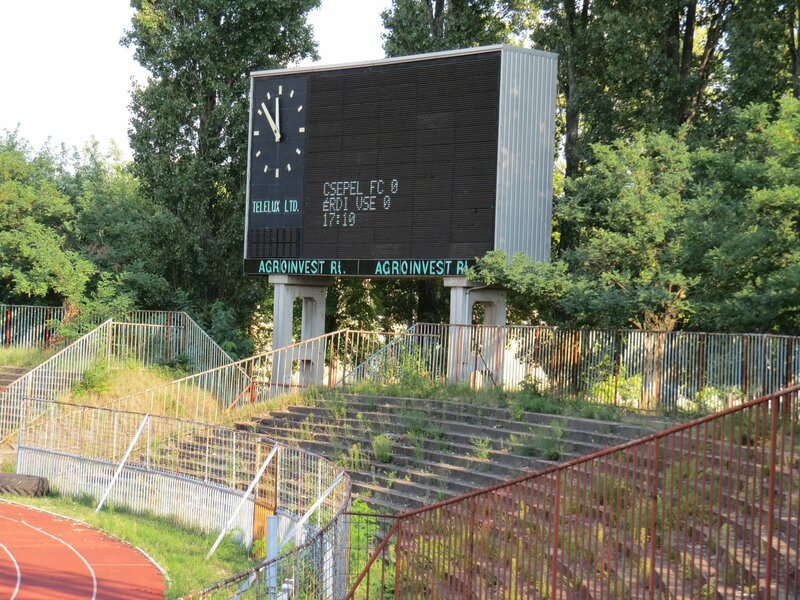 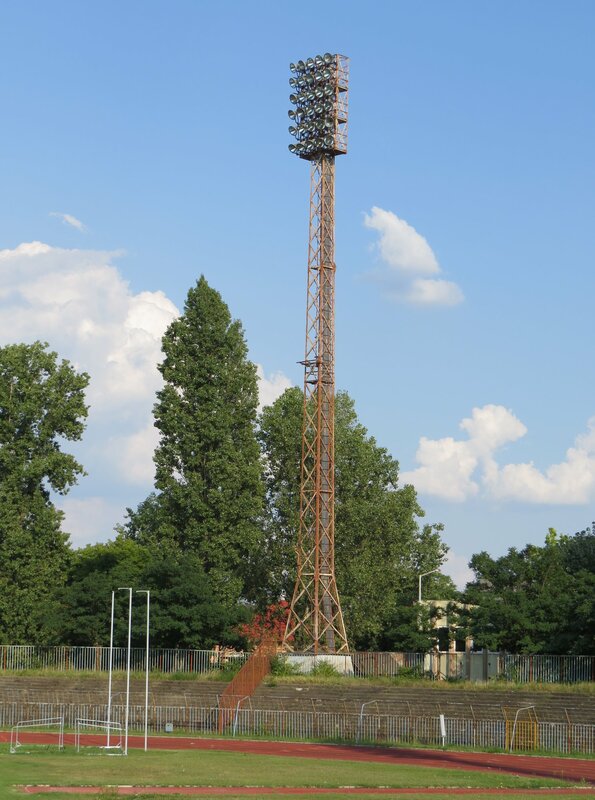 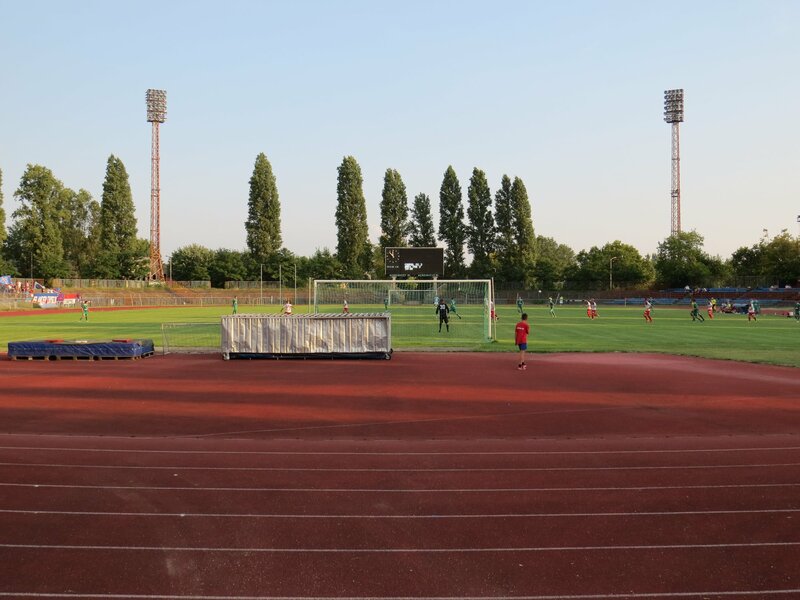 Again huge floodlights, old and partly overgrown terraces, an analog scoreboard and unique main stand I have never seen before in this form. 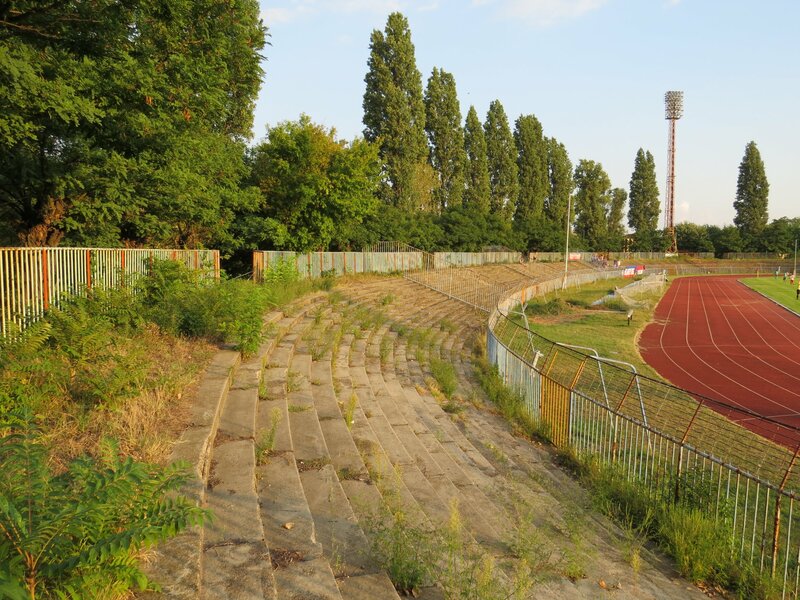 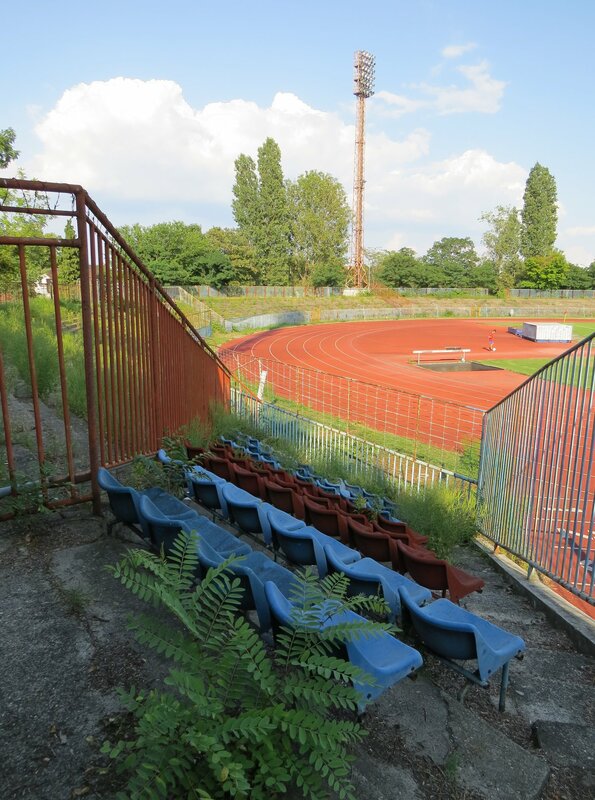 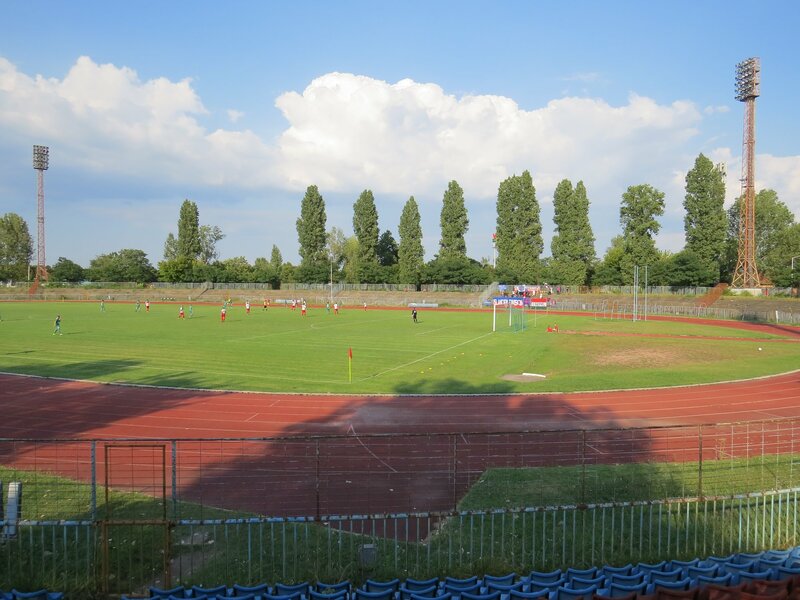 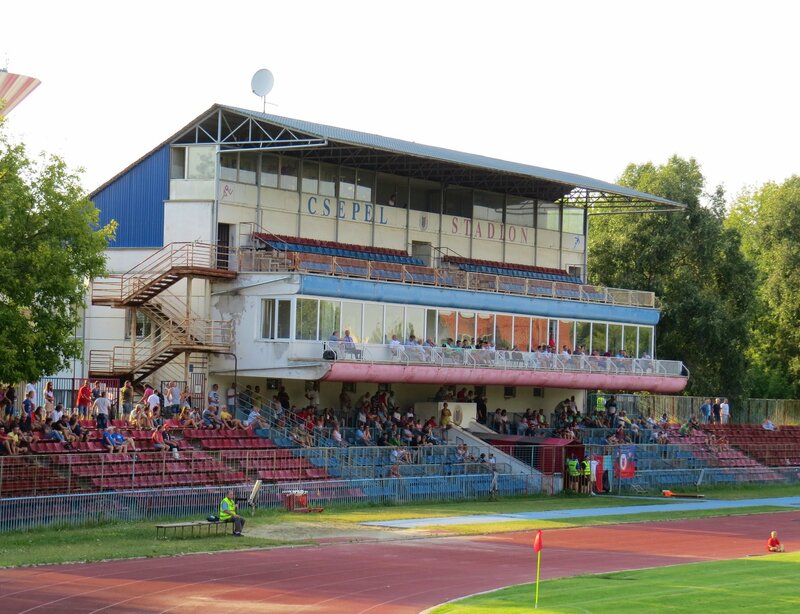 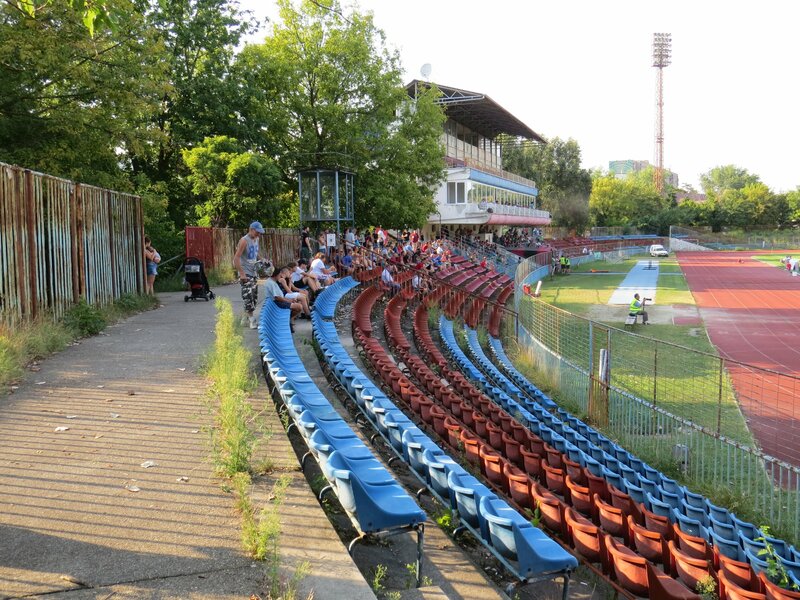 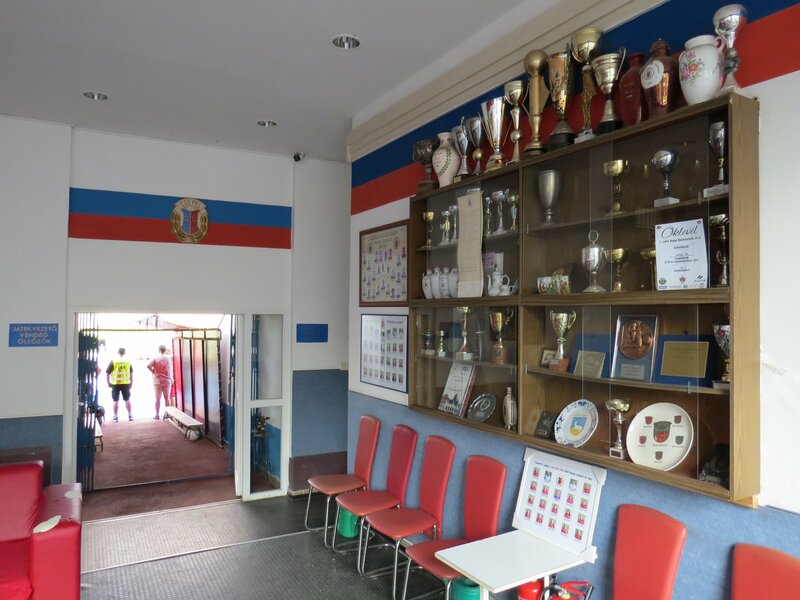 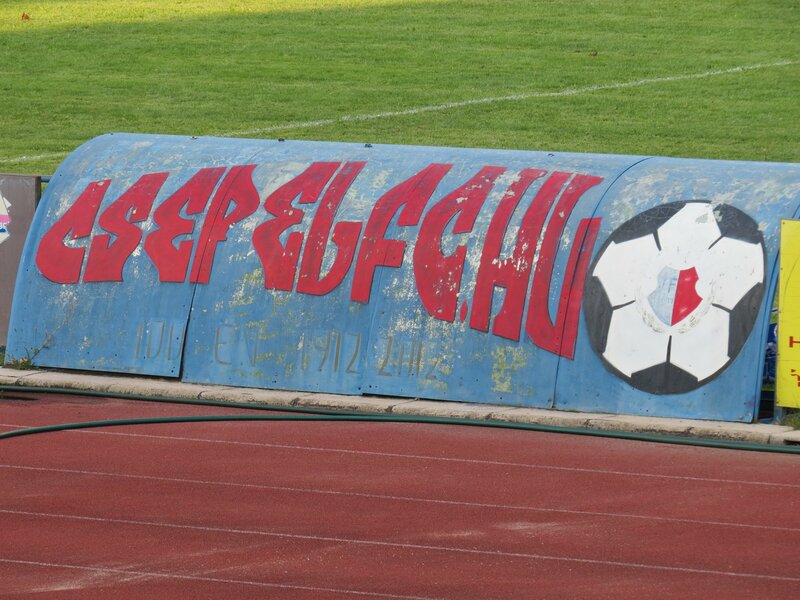 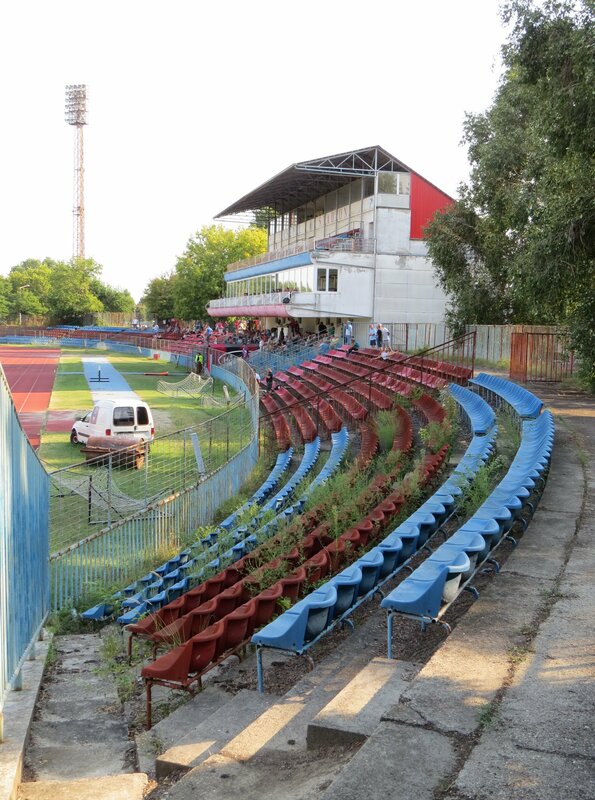 That’s the kind of stadium you want to visit in Eastern Europe. 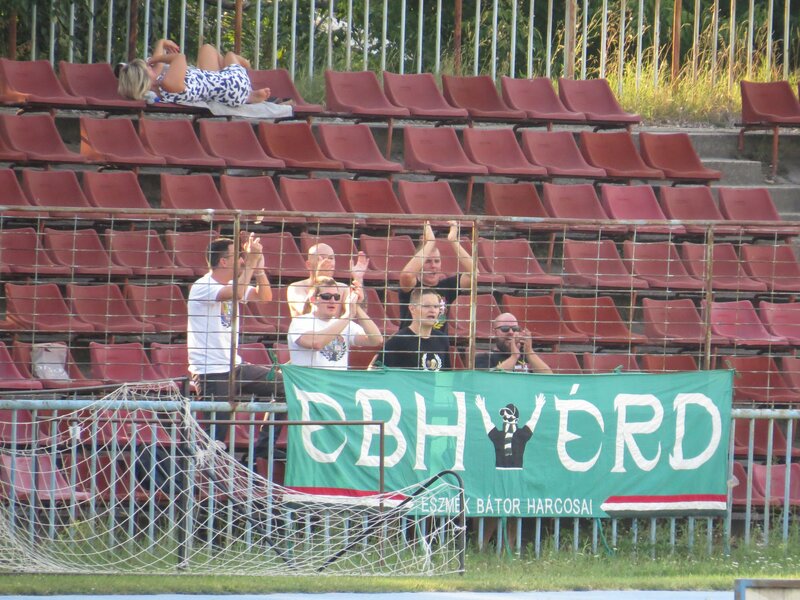 This time there were recognizable home fans and a few away supporters found their way into the stadium. 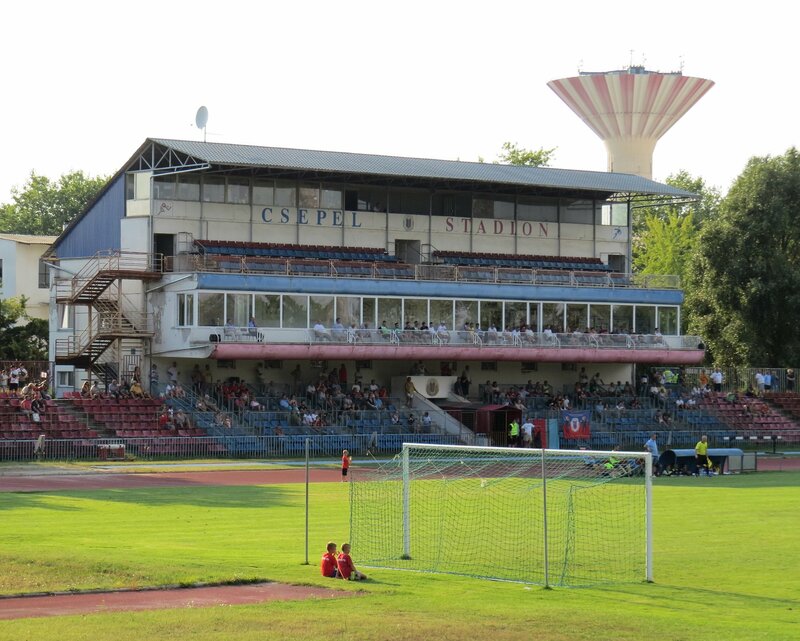 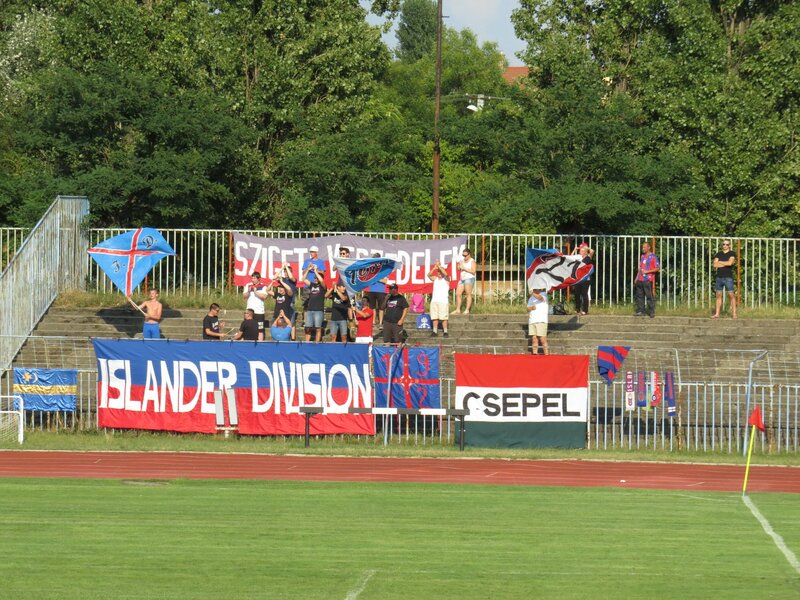 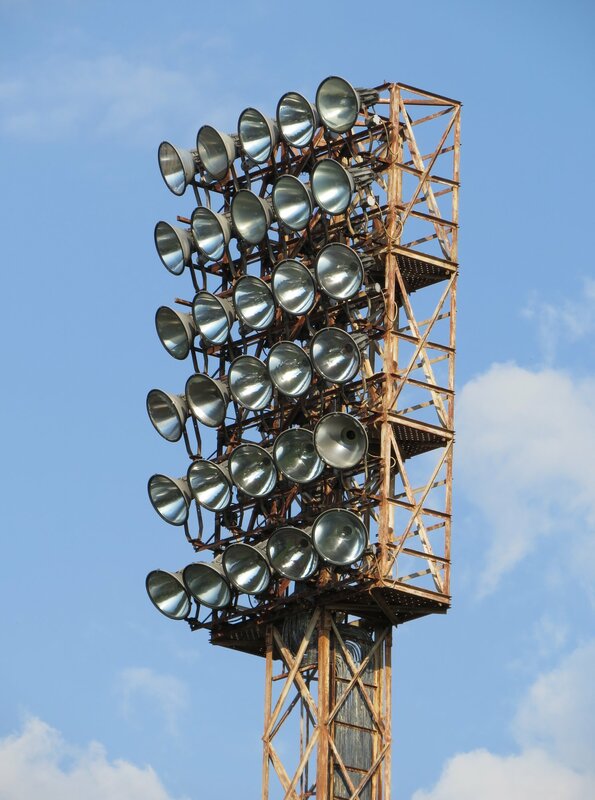 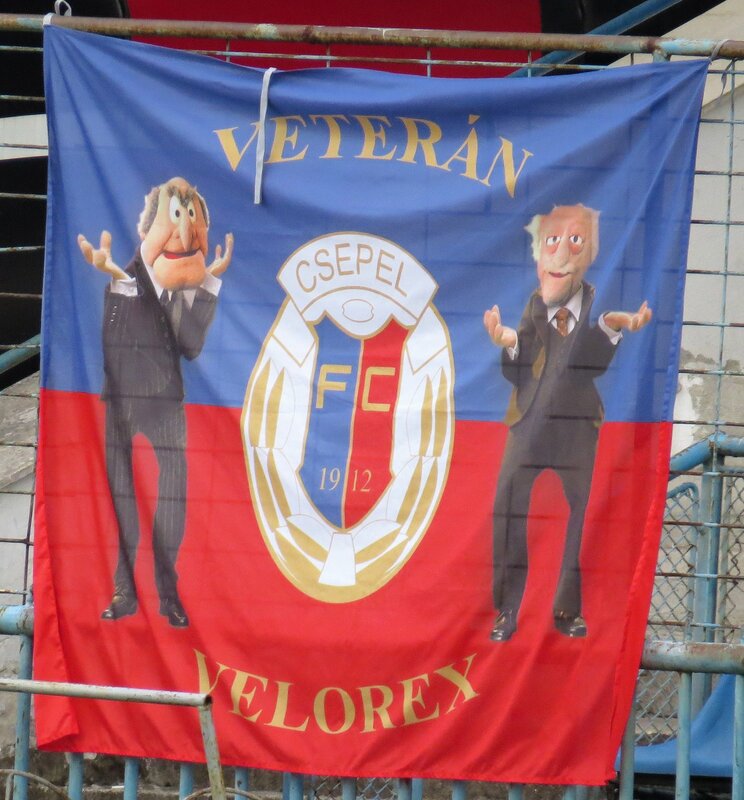 The Csepel fans stood in the hot sun on the roofles long side and the Érdi fans in the shadow of the grandstand. 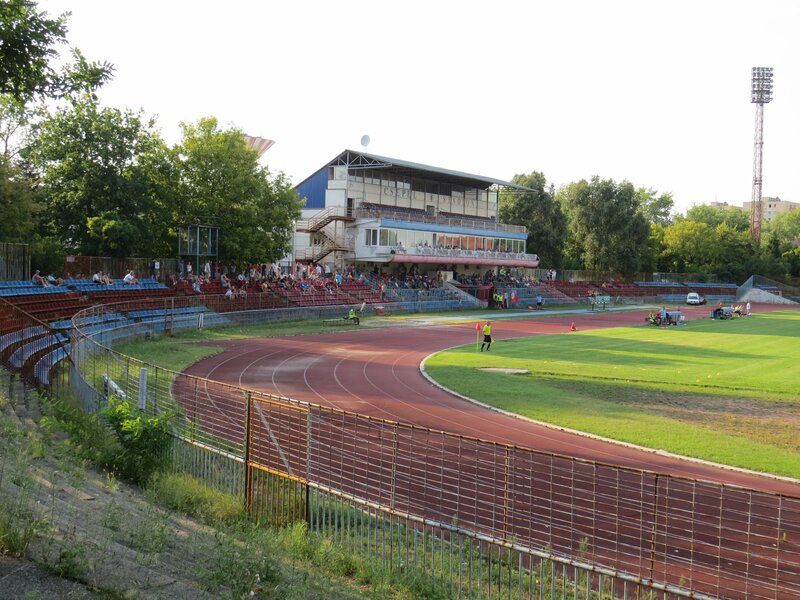 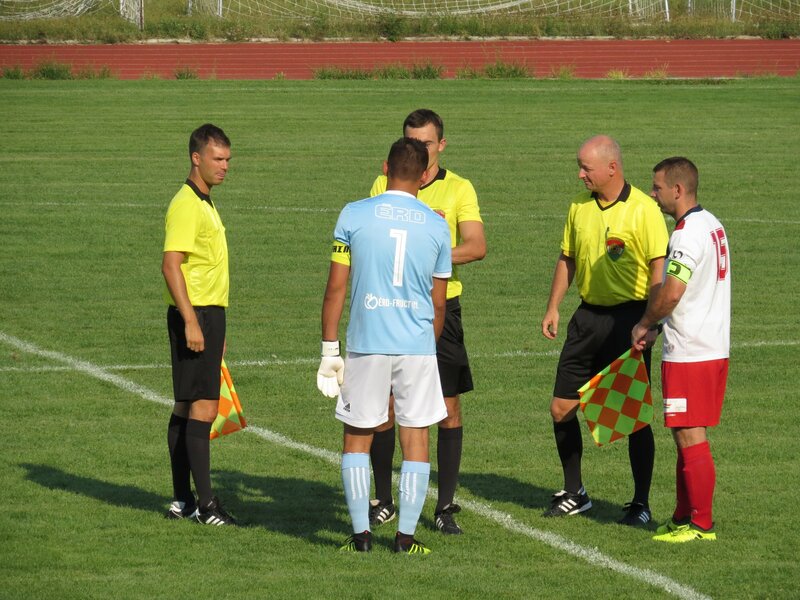 About 250 people saw a 2:2 draw on that super hot day.